1. The V-Strom is one of the best “bang-for-the-buck” motorcycles ever made. This trait speaks to the very heart of the MotoCaribe Value Proposition. You can spend much, much more for a motorcycle without getting equal bang. 2. The V-Strom has earned its reputation of a high reliability, low-maintenance motorcycle. This keeps you on the road and makes your vacation more enjoyable. Its longevity means the bugs have been worked out, and a world-wide enthusiast network ensures a solid low-cost supply of aftermarket parts & service advice. This keeps costs down, maintenance up and is true to our Value Proposition..
3. 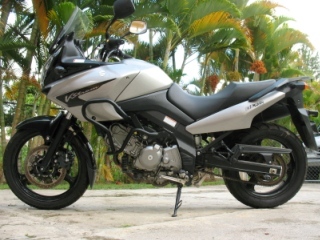 The V-Strom is a nearly perfect machine for the roads of the Dominican Republic. It is equally at home carving the twisties, banging on the hard-pack, cruising at highway speeds, and perfectly suited for the occasional misstep doing the Pothole Boogey. The V-Strom is the Swiss Army Knife of motorcycles. 4. The V-Strom has excellent ergonomics. Comfort is critical and riders are still fresh at the end of a long day insuring safety & enjoyment. 5. The V-Strom is one of the most intuitive motorcycles ever made. Little time is necessary for a rider to become completely familiar with its handling, increasing both the riding experience and, more importantly, safety. Many of our guests ride V-Stroms at home. In fact, after spending a week on a V-Strom several have returned home from their MotoCaribe tour and purchased one for themselves. That speaks volumes for the machine. If you’ve never had seat time on one, a MotoCaribe tour offers great exposure to this excellent machine. 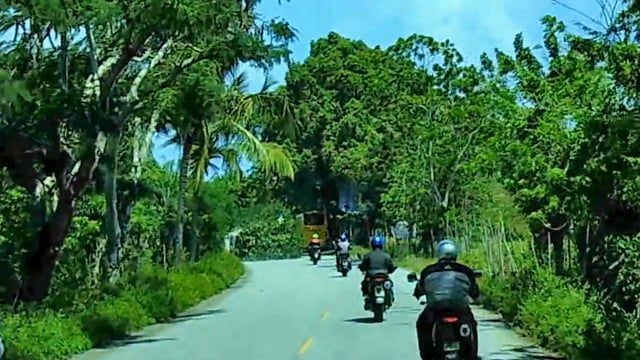 MotoCaribe encounters a tree being dragged down the road on a North Coast tour. Another example of how we earned out motto: "Expect the unexpected." 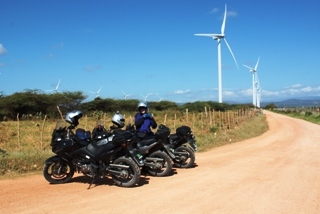 An eight day adventure tour with MotoCaribe is like being in a great movie for a week. You are going to have a great time starring in your own adventure in the Caribbean. 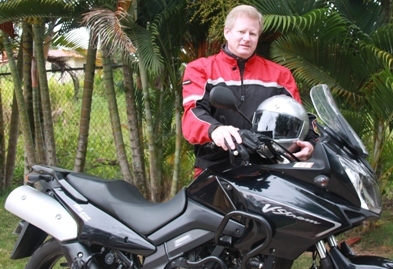 Riding V-Strom’s around paradise…what’s not to like? Do it NOW! This is a real thumb’s up and just too good to miss. I loved it.